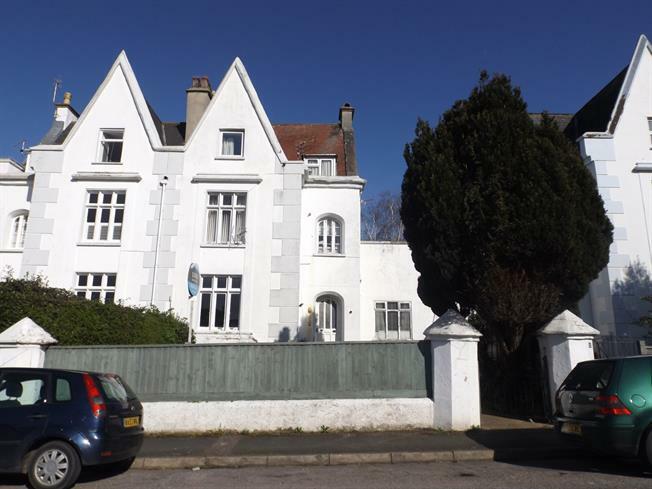 3 Bedroom Flat For Sale in Exmouth for Asking Price £135,000. For sale by Public Auction on the 25 April 2019 at SANDY PARK CONFERENCE CENTRE, EX2 7NN. A three bedroom lower ground floor flat, situated in this converted Grade II listed building, having the benefit of a private decked and shingle courtyard garden. The property has the benefit of a 999 year lease granted in 1986 and is likely to appeal to owner/occupiers, residential lettings investors and those looking for a second/holiday home in the highly sought after seaside town of Exmouth, in walking distance of the town centre, sea front, hospital and train station. A three bedroom lower ground floor, situated in this converted Grade II listed building, having the benefit of a private decked and shingle courtyard garden. The property has the benefit of a 999 year lease granted in 1986 and is likely to appeal to owner/occupiers, residential lettings investors and those looking for a second/holiday home in the highly sought after seaside town of Exmouth, in walking distance of the town centre, sea front, hospital and train station. External steps lead down to its own private entrance, kitche/diner, inner hallway, sitting room, three bedrooms and bathroom. Private rear courtyard style garden laid to decking and shingle for ease of maintenance. Shared use of the communal front lawned garden.